Welcome to my blog and my first-ever Saturday Spankings blog hop, where spanking authors share a snippet of their work in 8 sentences. It's actually much harder than it sounds, finding just 8 sentences with which to entice readers! 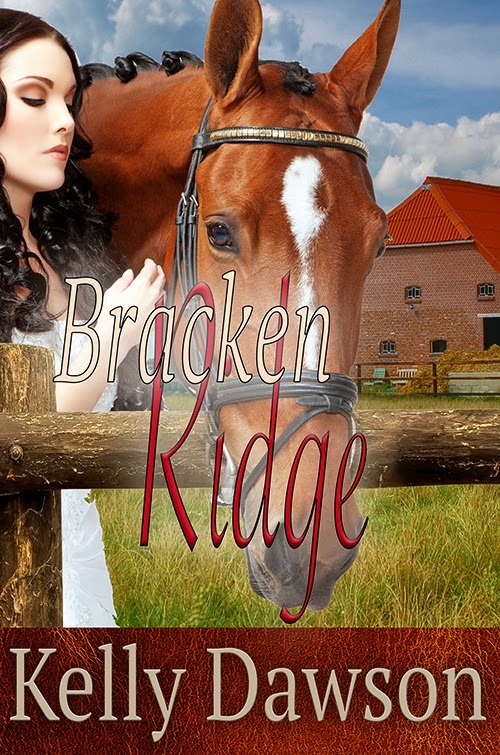 My first book, Bracken Ridge, published by Blushing Books, was released in January. It is a horsey spanking romance, set in an equestrian centre in New Zealand. Anna has plans for Bracken Ridge, but before she can implement them, she needs to prove herself. The biggest obstacle in her path is her nemesis, Sharon, the stable hand who thinks Jeremy is mighty fine. Once Anna gets past her, Jeremy is standing in her way - he's now the boss, but she can't work for him. He's been her best mate forever, and to cede to his authority now is going against every grain of her nature. Being the daughter of the owner, Jeremy isn’t allowed to fire Anna, so when she gets rebellious and sassy he decides to spank her instead. He had taken off his belt and was holding it in his hand, doubled over. There was a dangerous glint in his eyes. Anna gulped. “Come around to the front of the car and bend over,” he ordered her in a gentle tone, but so authoritarian and stern at the same time that Anna couldn’t help but obey him. Slowly, reluctantly, she edged along the ditch alongside the car, and when she reached the front, she stretched out along the bonnet. Thanks for stopping by! Please remember to check out all the other awesome authors participating in this blog hop! I gather he already warned her this was going to happen, and now he makes it so. She's got sass. They say they want honesty and then when they get it they aren't satisfied. I'm going to need to read more. LOL. Because you're mean? Oh, my goodness. That's one answer that won't get you any points. Mmm, over the car spankings are hot!!!! LOL, I love her answer! 'Because you're mean.' Nice, Kelly! Thanks :) I love this character too, she is part me, part how I wish I was, and the rest just made up.